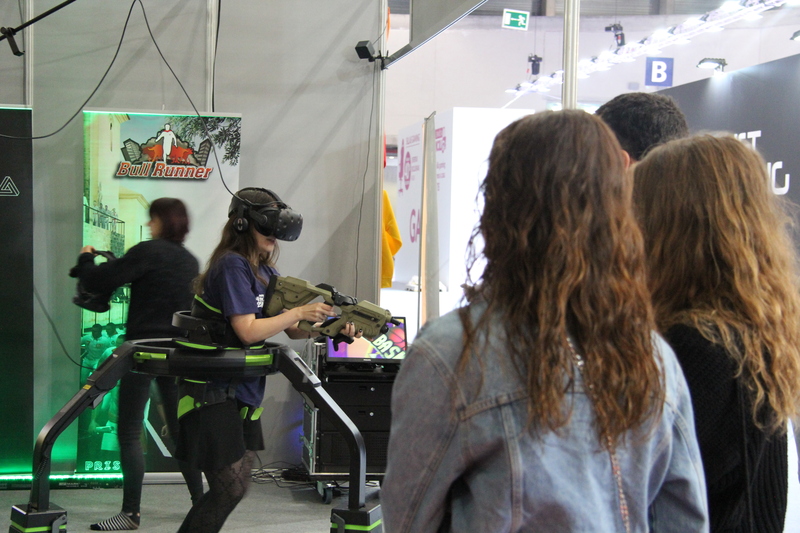 "Prisma Virtual Reality Studio", was present at the Madrid Games Week thanks to the collaboration with "Jugón Virtual", organizer of the Virtual Reality section at the event. 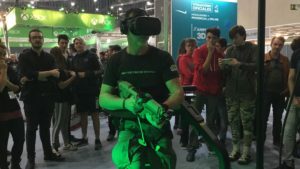 Madrid Games Week had this year with its most ambitious national staging since its inception, regaining prominence after its march to the Barcelona Games World. 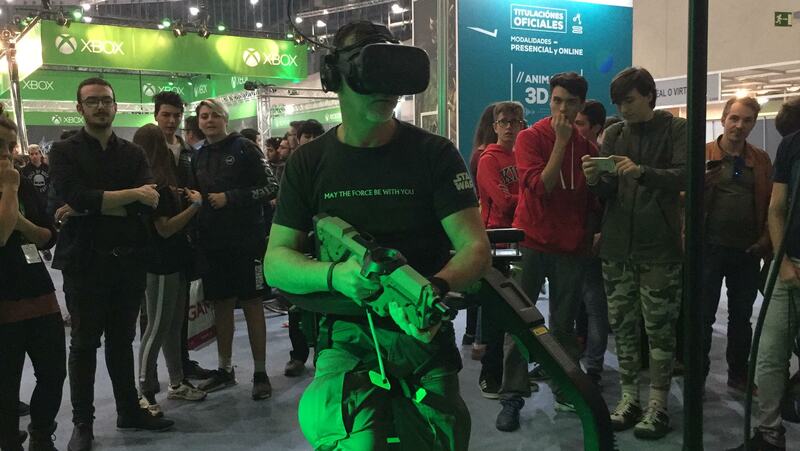 On this occasion, hosted for 4 days a large number of professionals both national and international that exposed the latest developments in the world of video games. With an attendance of around 100,000 fans, the VR zone had very good acceptance during the fair. PrismaVR made available to visitors one of their own experiences; Be A Survivor. 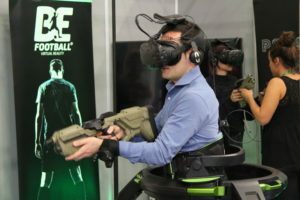 With the HTC Vive glasses and with the most advanced VR scrolling platform on the market, Virtuix Omni®, players were able to immerse themselves in the sensations that a zombie epidemic survivor would have through Virtual Reality and in a real recreated environment of in a reliable way, the Plaza Mayor of Medina del Campo.